Be the first to receive each issue of Source Kids Magazine delivered straight to your door. 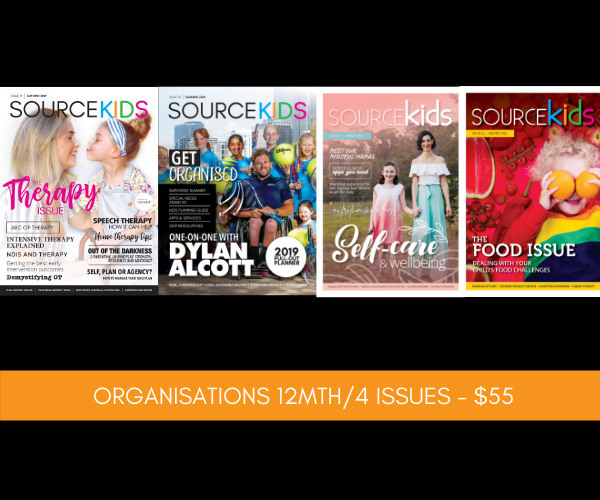 For just $55 you’ll receive 4 issues of Source Kids each year delivered to a location of your choice! It’s easy to subscribe – just click on ‘Add to cart’. Please note – subscriptions will commence from the next issue released unless you contact us to request a copy of the current issue.